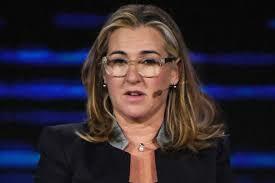 Nancy Dubuc, president and CEO of A+E Networks, has left the company and is replacing Shane Smith as CEO of VICE Media. Smith is to move to Executive Chairman to focus on strategic deals and content development. VICE has been under pressure over its corporate culture towards women and badly missed its financial targets last year. Dubuc, who has been at the forefront of women’s media advocacy, is doubling down on her backing of Vice having negotiated the deal to turn an A+E channel into Viceland – which has also had mixed results. Dubuc sits on the board of VICE. Dubuc had been president and CEO of A+E since 2013. A Statement from the company said that as VICE Media continues to register record growth and is set to further its position in 2018 as the industry vanguard, company founder Smith moved to strategically position the company for its next phase of growth by appointing Nancy Dubuc as Chief Executive Officer. In recent years, VICE has undergone rapid expansion with the youth brand and content studio aggressively pushing into new formats of programming, building out its library of youth-focused content, striking licensing and production deals across mobile, linear and digital, and entering dozens of new international territories. To maximise this growth and ensure VICE executes on its blueprint going forward, Smith sought out Dubuc as an experienced chief executive with an unmatched track record when it comes to both running a sprawling international media company and producing and distributing award-winning programming. The appointment allows Smith to transition to Executive Chairman, where he will continue to focus his efforts on strategic deals and content development. At A+E Networks Dubuc transformed the company into a global powerhouse, commanding a portfolio of industry-leading media brands, reaching over 335 million households in more than 200 territories across a multitude of platforms. The move comes as the youth brand in 2017 recorded its best year in its 23-year history which included: record ratings and traffic across its digital, mobile and linear platforms among the 18-34 year-old audience; double-digit revenue growth; and a host of new multi-platform distribution deals to bring its award-winning programming to new audiences around the world. Additionally, VICE has taken a number of recent steps to ensure its workplace becomes one of the most progressive in the world, including a commitment to 50/50 by 2020 across all levels of the company including management. Under Dubuc’s stewardship, A+E Networks has not only generated significant financial growth and expanded its network of top-performing channels, but championed innovative storytelling by investing in early-stage content and technology companies. As many of you have read, I have been in discussions with my friend, my partner, and board member Nancy Dubuc, to join the VICE family and become my successor as CEO. While we tried our damnedest to have everything signed, sealed and delivered before sharing it with you and with the rest of the world, we seemingly can’t take a crap in this town without it leaking to the press. Of course, as the bellwether for the modern media age, we should be no stranger to the rumors and speculation. Today we put this speculation to rest and turn our focus toward executing our growth plans to maintain our hegemonic place atop the new media landscape which, in turn, will give us the ability to control our own destiny. As founders, we take pride in the fact that we built an institution with some level of permanence, and while VICE has a strong foundation for the future, we realise that we need help for the next phase of our growth. We need to surround ourselves with the right people so our company, and our thousands of employees globally, can flourish. In looking for a professional CEO, we are in need of one who can master; the content world, the digital world, the business world, and who is at the same time an operator extraordinaire. These people are obviously few and far between, but I believe we have found the absolute best in class with Nancy. Nancy and I have spent much time deliberating on the best way for us to partner up in a shared mission of maximizing the great potential this company holds. She believes in VICE, she believes in our mission, and she believes in all of you. Nancy has clearly proven herself with her stewardship of A&E Networks. As a partner, she’s helped grow VICELAND internationally and into the second fastest growing network in all of US cable among our audience. Since joining our board, Nancy has been a trusted confidante whose every recommendation is driven by making the best programming possible. She has the rare combination of business and content chops, and an unparalleled record in running the daily operations of a sprawling global media company like our own. A lot of people have been asking me what this means for me personally. Well, I have always said that I am good at two things, 1) creating content and 2) making deals, so that’s what I’m going to do. I will focus my energy on raising the bar for our content, and will serve as Executive Chairman of the Board. Again, as I always say ‘L’Union fait la Force”’ or ‘together we are stronger’. This marks a new period in VICE’s history that will make us infinitely stronger. Nancy will run the company day to day from New York and we will work lock step with our partners, management, employees and board in making sure that VICE maintains its position as the leader of new media, and delivers on its commitment to 50/50 by 2020 as we work to become the most progressive workplace in the world. This Friday we will be hosting a town hall in Brooklyn to welcome Nancy and introduce her to all of you. I hope that you will welcome her to the company with the same enthusiasm and open arms that I have.